A portion of all of the proceeds from this exhibit will be donated to the very local Sharon Audubon Society, which do amazing work. To learn more about the Audubon Society, their work, facility, and more, please see the information below or visit their website at www.sharon.audubon.org. Audubon Sharon is a unique wildlife rehabilitation center, providing care for sensitive songbirds and raptors. 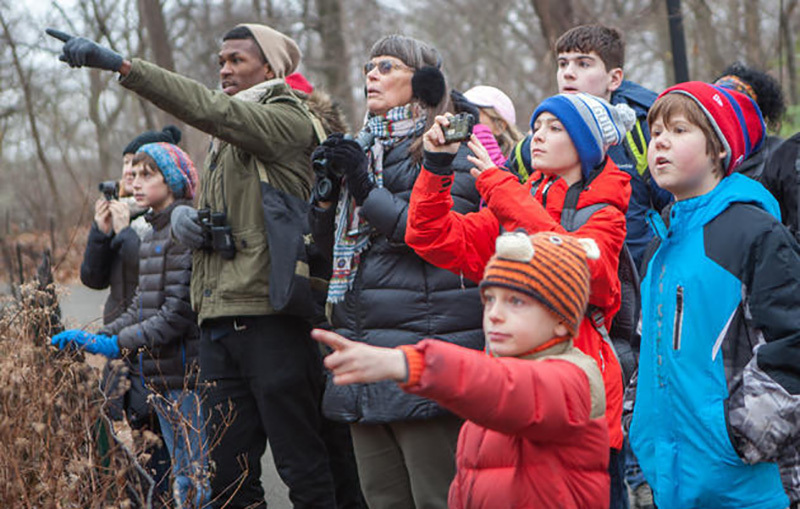 The mission of Audubon Sharon is to protect birds, other wildlife, and their habitats by caring for injured animals and creating life-changing experiences that inspire community members and their families to appreciate and protect the natural world. During the 1970’s, in response to the surrounding community’s needs, Audubon Sharon began caring for a few wildlife patients and our rehabilitation program has grown. This year we have already admitted 500 injured or orphaned birds; up from our average of 325 birds and or other wildlife annually. Caring for these species requires a considerable amount of time and a high level of professional skill and we are the only resource in the area that provides care for injured or orphaned wildlife. The ultimate goal of Audubon Sharon’s wildlife rehabilitation program is to treat sick and injured wildlife and release healthy, viable birds back into the wild while educating the public about what they can do to help protect wildlife. Opportunities to educate the public occur at several points in the rehab process including, when an animal is admitted, during care and recovery, at the point of release, as well as through our wildlife care volunteer and internship program. Complementing our wildlife rehabilitation, Audubon Sharon provides stewardship on over 3,000 acres of land on four wildlife preserves in Northwestern Connecticut, leads a state wide program Forest for the Birds conservation program, runs 5 bird banding stations annually, an American Kestrel Nest Box and Blue Bird nest-box monitoring program , and has an environmental education center that is a vital educational resource for school children, families, and adults. In addition, many of our patients that go through recovery but are still not releasable become part of our animal ambassador program. Animal ambassadors are part of our educational programs for the general public or can be seen at our educational aviaries, an area that is separate from our rehabilitation program that houses 18 non-releasable raptors used for educational programming. The Sharon Audubon Center (SAC) is the educational component of Audubon Sharon and is the local resource for natural science information and instruction. For over forty years, Audubon Sharon has been the community resource for treating injured and orphaned wildlife, servicing northwestern Connecticut, eastern New York, and southwestern Massachusetts. Established in 1961 and located in Sharon CT, Audubon Sharon is part of Audubon Connecticut, a branch of the National Audubon Society. For more than a century, Audubon has built a legacy of conservation success by mobilizing the strength of its network of members, Chapters, Audubon Centers, state offices and dedicated professional staff to connect people with nature and empower them to protect it. Audubon Sharon has a robust Wildlife Rehabilitation program that admits and provides care for over 500 injured or orphaned birds annually. Since our inception, Audubon Sharon has treated approximately 10,000 injured or orphaned birds including rare, threatened, or endangered bird species. We have released over 4,500 birds back into Connecticut’s ecosystem; totaling more than 40% of all admissions. Audubon Sharon is the only equipped rehabilitation center of its kind in the tri-state area that community members and fellow wildlife rehabilitators can turn to for emergency care. Audubon Sharon holds a variety of permits. Federal permits include Rehabilitation, Special Purpose Possession- Live and Dead Migratory Birds for Educational Use, Salvage, and Eagle Exhibition. 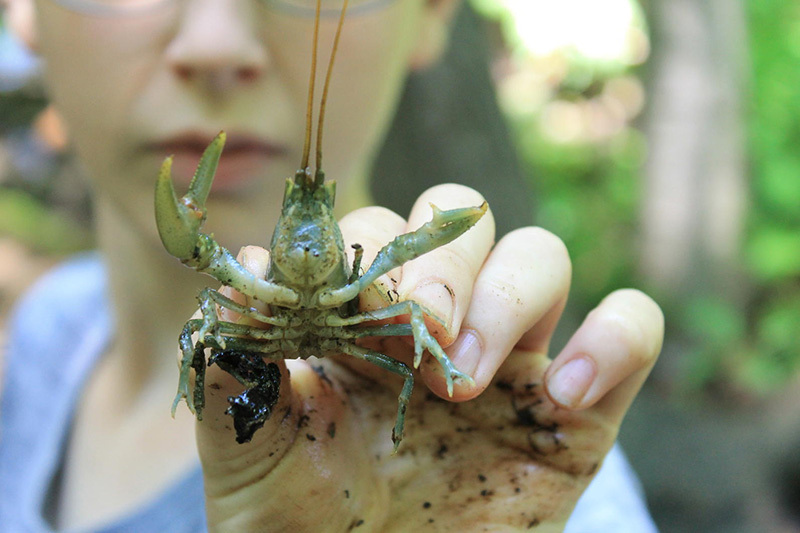 Each year, SAC connects approximately 16,000 school children and adults with nature through our various programs. These include three annual Festivals, live raptor programs, a robust summer camp program, school field trips and an outreach program headed up by the centers longstanding Program Director Wendy Miller. We host two education interns annually, one seasonal wildlife rehabilitation intern, and one seasonal bird-banding intern that maintain an active research network with five bird banding stations. Additionally, we coordinate and host community events, helping people understand what they can do to protect the environment in their communities right here is the Northwest Corner. Eastern Forest Work: Audubon Connecticut embarked on a new program Forest for the Birds in 2014 performing habitat assessments for private landowners on their properties through a generous grant from the United States Forest Service. To date we have completed 114 habitat assessments on more than 25,000 acres while engaging land owners or land managers that control 125,000 acres. 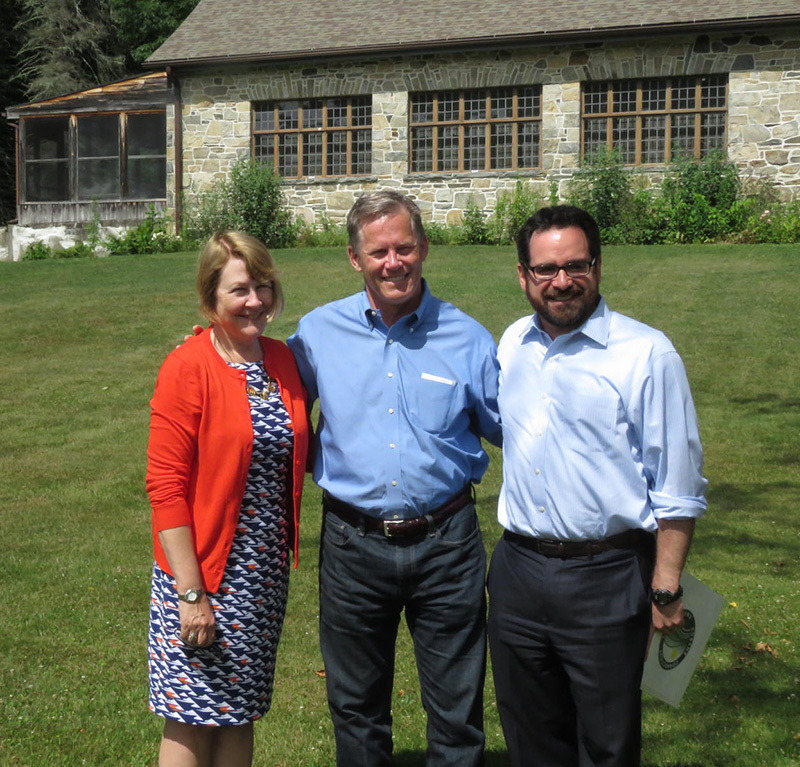 Additionally, seven workshops were coordinated with our partners at the Connecticut Agricultural Experiment Station, DEEP, a private forester, Hull Forestry, the Eastern Connecticut Forest Landowners Association, and NRCS educating prospective landowners. One of those workshops was held at the Yale School of Forestry and one workshop engaged foresters on bird friendly habitat management with our partners from Vermont. Landowners receive a comprehensive 35 page habitat assessment report that maps and measures the individual habitat types on the property and makes recommendation on how landowners can improve their woodlands with birds in mind. Work will continue through 2017 while we await to hear from several funding sources for additional future funding. As more than 80% of the land in CT is privately owned and 52% of the total land mass is owned by landowners that own 100 acres or less, private landowners are the key to future conservation outcomes in the State of Connecticut. Audubon Sharon has five full time staff members and employs five interns annually. Both Sunny and Wendy Miller, our Education Director, are licensed wildlife rehabilitators and have a combined experience of over twenty five years. We have a summer Wildlife Rehabilitation Intern, Nicole Castanada that is spending her second season with us. The Center Director members is working towards his rehabilitators license. Sunny Bettley is our principal wildlife rehabilitator and has been rehabbing birds and mammals since 2006. 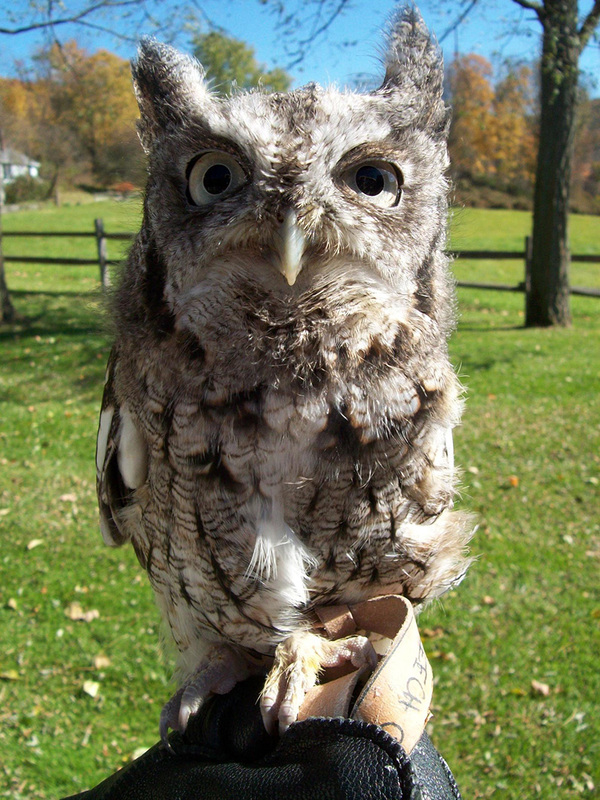 Sunny is a member of the Connecticut and the National Wildlife Rehabilitators Association and assists with programs at member meetings and workshops. Sunny is responsible for the day-to-day oversight of all animal care operations that includes an avian wildlife rehabilitation clinic for sick, injured and orphaned birds as well as our permanent resident animals. Sunny coordinates volunteers and holds numerous volunteer enrichment trainings in animal care, raptor handling, wildlife rehabilitation, and animal diseases. 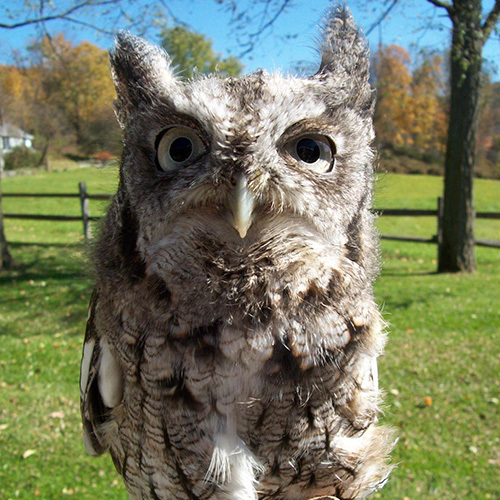 Audubon Sharon is a resource for wildlife rehabilitation in northwest Connecticut and is supported by 125 volunteers annually. We recruit and train an average of 35 animal caretaker volunteers and have a robust volunteer core that is the lifeblood of our organization. A number of volunteers are licensed wildlife rehabilitators in the State of Connecticut and one is licensed in New York. These individuals volunteer their services to our program and include Evan and Ross Cooper, Johanna Walton, Michael Weiss, Vicki Lynch, Vicki Volinski, Debi Carpenter (NY wildlife rehabilitation permit), and Nancy Jackson among others. Audubon Sharon also has 35 volunteers dedicated specifically to our wildlife rehabilitation program. Dawn to dusk care is often needed and a full weekly schedule is organized to provide care for our wildlife patients. During the nesting season, when many baby and fledgling birds arrive for care, the volunteer schedule needs to ensure feeding at half hour intervals for these rapidly developing birds. In 2014 it was determined that most of our rehabilitation facilities were well past their functional life expectancy. In response Center Director Sean Grace wrote a capital improvement grant to the John T. and Jane A. Wiederhold Foundation to create a three wild bird aviaries, a new sixty foot flight cage, and expand the rehabilitation facilities by adding a pre examination room adjacent the emergency care unit inside Audubon Sharon. The build was largely completed this winter. The results have been transformative and have increased the awareness about Audubon Sharon’s Wildlife Rehabilitation Unit.